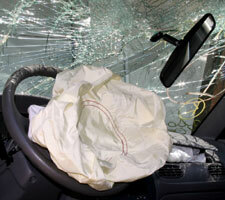 Car accidents can result in death, bodily injury, pain and suffering, medical expenses or property damage. The resulting medical expenses can have an impact on your family’s economic stability. It can also be costly to pursue insurance claims related to car accidents — let us help. To protect your rights and ensure you receive the settlement you are entitled to, contact the experienced auto accident attorneys at Tlusty, Kennedy & Dirks, S.C.
Why is it important to contact one of our personal injury attorneys after an auto accident? Insurance adjusters will contact you and typically ask you leading questions that can impact your chances for a fair settlement. Insurance companies will press you to make a recorded statement that may not be in your best interest. Insurance companies’ first settlement offers are designed to placate you, not provide you with full compensation for current and future complications. 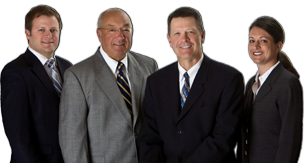 Our personal injury attorneys have many years of experience representing the rights of car accident victims. Our personal injury firm covers the expenses of pursuing your settlement to spare you economic burdens during your recovery period. Once a settlement is reached, we recoup our expenses. Your first personal injury consultation is free. Tlusty, Kennedy & Dirks, S.C. does not charge attorney fees unless you receive compensation.